Stephanie is an Alabama native who originally began exploring dance under instruction from The Dance Foundation’s very own Rachael Inman. Stephanie continued her dance training at the Alabama School of Fine Arts during her high school years. Throughout her time studying dance she also became curious about psychology and neuroscience which became a central point for her choreographic endeavors. She attended University of Alabama at Birmingham where she studied neuroscience and began to notice the relationship between the body and the neurology of memory and trauma. Stephanie has also been an avid yoga practitioner since grade school and aqcuired her teaching certification through Asheville Yoga Center in 2016. 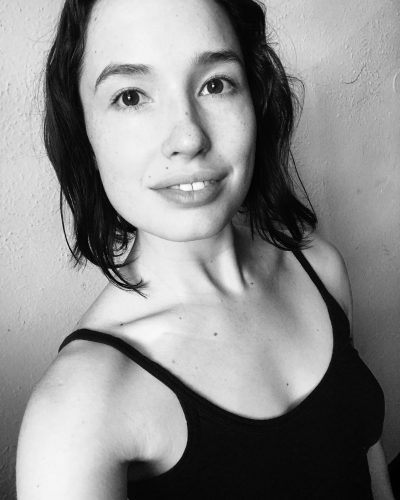 In addition to teaching dance, she continues to perform and collaborate with artists while exploring the mind-body connection in her own art.